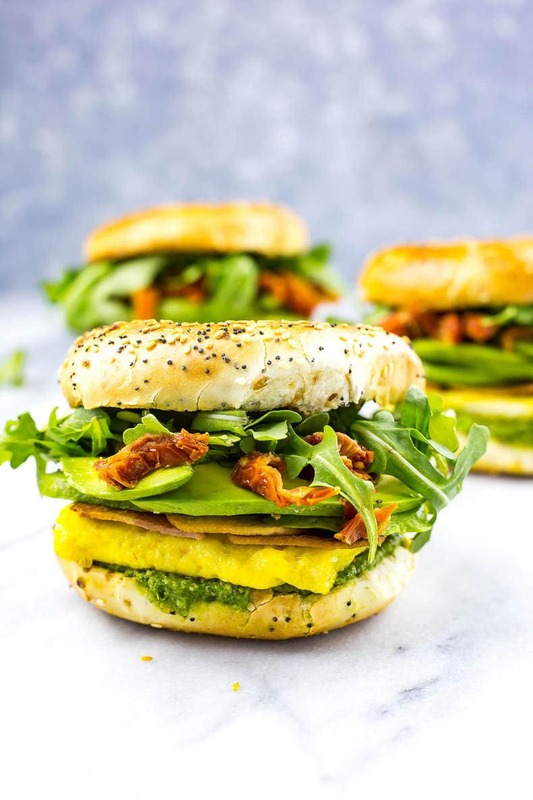 These Pesto Bagel Breakfast Sandwiches come fully loaded with scrambled eggs, turkey bacon, arugula, sundried tomatoes, avocado and a quick basil pesto in between an everything bagel! On Mondays, I really wish I had better breakfasts. 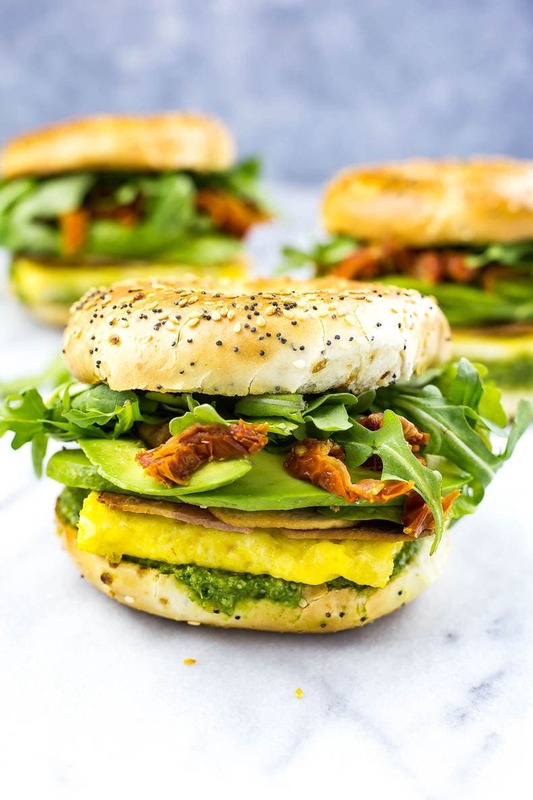 Like Pesto Bagel Breakfast Sandwiches. Filled to the brim with all kinds of goodies we normally save for fancy gourmet sandwiches, like pesto, arugula, sundried tomatoes and sliced avocado, I am totally going to make you rethink your Monday morning breakfast from now on. In fact, better breakfasts on Mondays really seems to be a resolution of mine that I never end up keeping. 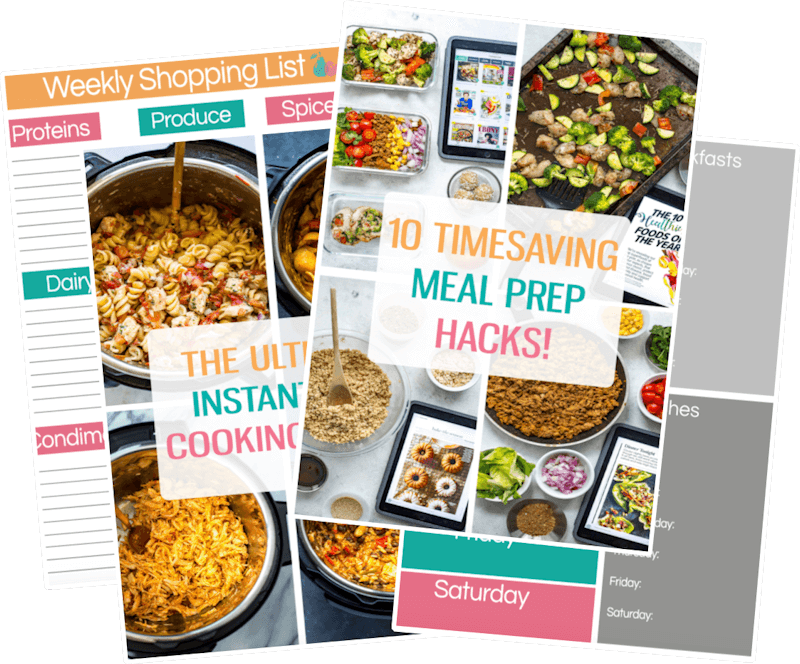 Sunday mornings I wake up with so much energy, I feel kind of renewed and recharged and ready to do my meal planning and meal prepping for the week, and then more times than not I end up lazing the day away, completing other tasks that really have no urgency but I feel the need to do anyway. Yesterday was a great example of this. I had a huuuuuuuuuge pile of laundry, my bedroom was in need of some serious vaccuuming and dusting and, like usual, I had a bunch of dishes to do, groceries to go get, etc. etc. What do I do when faced with all of these mounting tasks? I decide it's the right time to go down to the basement and begin a new art project.? Honestly, I know we all go through these periods where we push deadlines back and just kind of go with the flow doing whatever our hearts desire on weekends. That's what they're made for right? 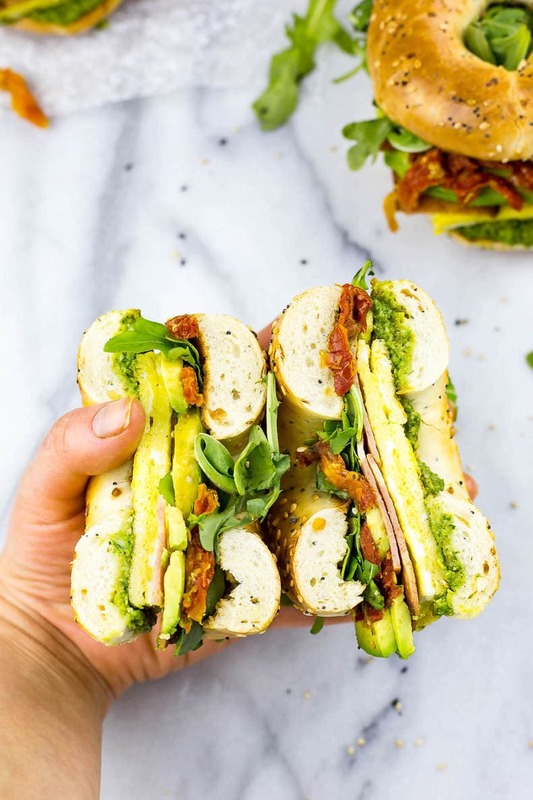 Well, they're also made for the ultimate brunch dish if you can't quite get your life together on Mondays – these Pesto Bagel Breakfast Sandwiches are going to become your next obsession. Like, screw heading to Starbucks or McDonald's or wherever you get your breakfast sandwiches from. These babies are breakfast on steroids. Gourmet-style.?? 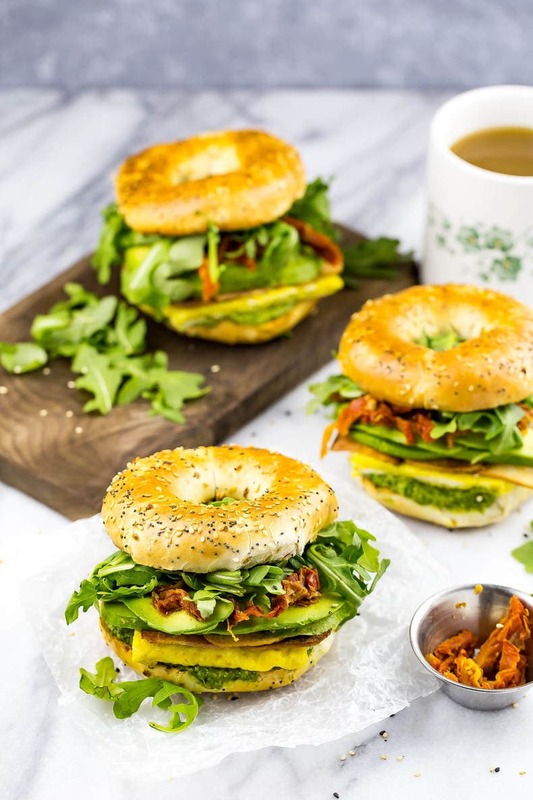 And can we please talk about the amazing invention that are breakfast bagels?! ?????? 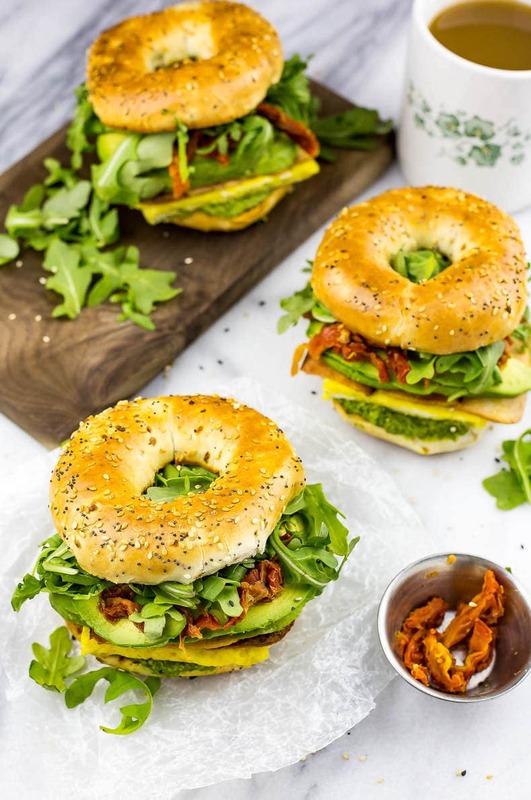 I am so in love with these savoury bagels – normally I'm all for just spreading a little bit of butter or cream cheese on 'em but since I'm trying to eat more than just carbs for my meals and shove a bit more veg in there, I thought it would be a genius move to use them in a breakfast sandwich. Yes, genius move indeed. I'm so humble, right? 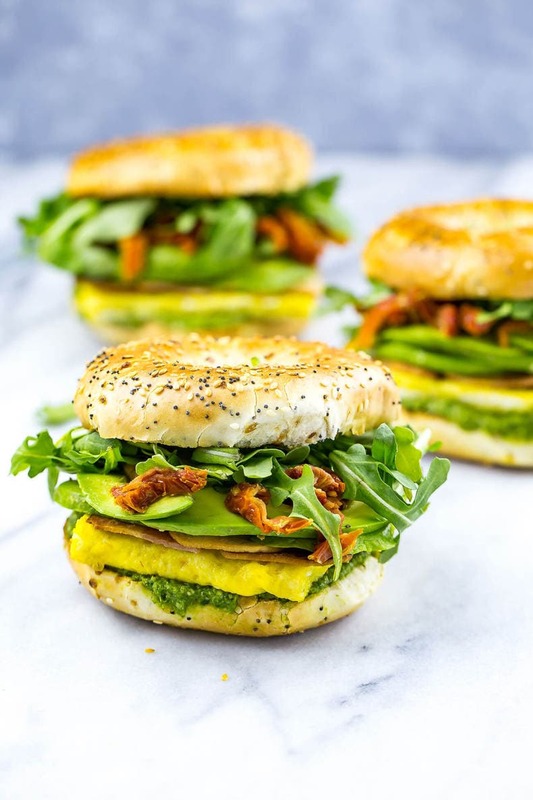 I wish these Pesto Bagel Breakfast Sandwiches were a little more make-ahead or freezer-friendly and technically you could prepare some parts ahead of time, or even freeze them. Take the eggs, bacon and pesto. Even the bagels. All freezable. 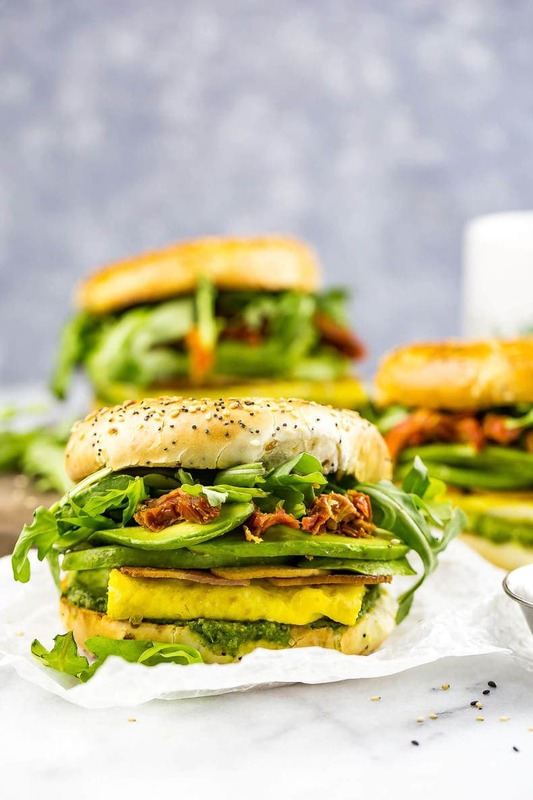 Save the cooked eggs and bacon together in little sandwich bags, defrost and reheat in the microwave for 1-2 minutes or so while toasting the bagels. Defrost the pesto. Add in some fresh sliced avocado, jarred sundried tomatoes, arugula and spread on the pesto. Boom. Breakfast ready in 5-10 minutes. And far more delicious and healthy than eating out. Typically I like to save pesto for pasta but lately I've been experimenting. It's such a tasty condiment and you know I love to find excuses to use condiments in as many different ways as possible. Seriously, I don't know if I'm the only one but I will go out of my way to find a way to eat some of my favourite dips and condiments. Like that time I had leftover McDonald's sweet and sour dipping sauce from my chicken nuggets the night before, and I searched for something I could eat the dipping sauce with in my fridge and freezer. Or that time I walked down to Pizza Pizza to get one of their creamy garlic dipping sauces to have with some cut up veggies I had to eat up. Don't judge me for the decisions the old Taylor made five years ago. I've developed much healthier habits than that since then – or at least I've tried to LOL. So, getting back to what we were talking about…I've developed a recipe for a quick basil pesto that I throw together anytime I'm craving it for sandwiches, spaghetti squash, toast, or what have you. It freezes well, and you don't need to buy any pine nuts or put expensive ingredients in. 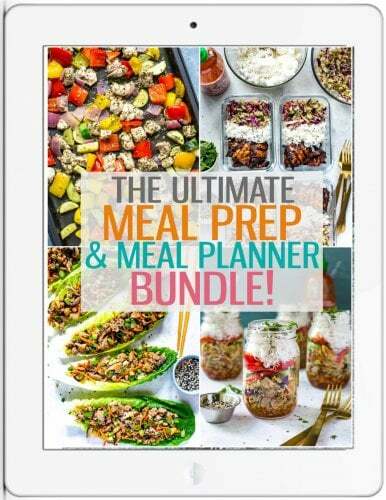 Now you're on your way to condiment heaven, along with the condiment queen! (again, I'm SO humble)? 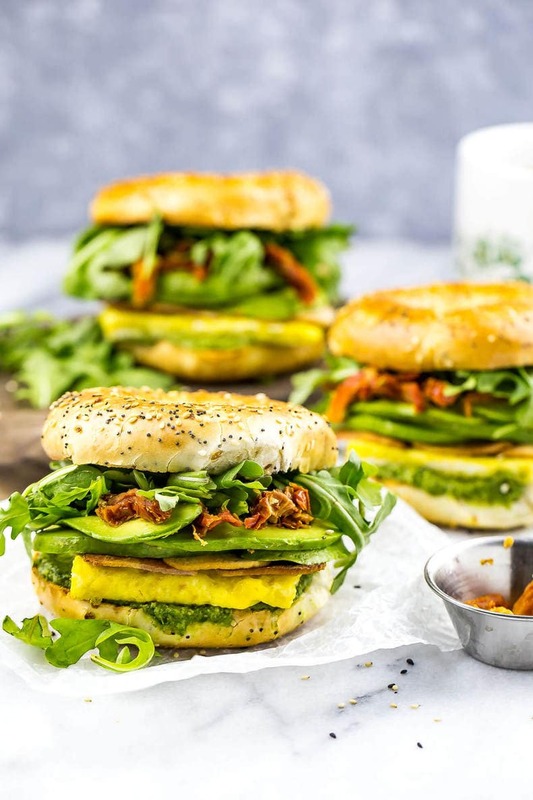 Will you be making these Pesto Bagel Breakfast Sandwiches? I promise they are super handy to have on hand in the freezer for a grab-and-go breakfast but they're also such a treat to make fresh for the whole family. But then again you'll probably have a few people wanting more than one, and the secret recipe. It's not my fault that these are addicting. In a large frying pan, heat olive oil on med-low heat. In a large bowl, whisk eggs together well. Add eggs to pan, and cook for 4-5 minutes, using a spatula to gently lift edges of egg. Flip egg over and remove from heat. Cut into four pieces. Wipe pan clean and cook bacon on med-high heat until desired doneness. You can use turkey or pork bacon here - your choice! Meanwhile, lightly toast bagels and prepare toppings. Blend pesto ingredients in a Magic Bullet or food processor. Add approximately 1 tbsp pesto to each bagel, spreading evenly. Add eggs, bacon, avocado, sundried tomatoes and arugula. Serve and enjoy! 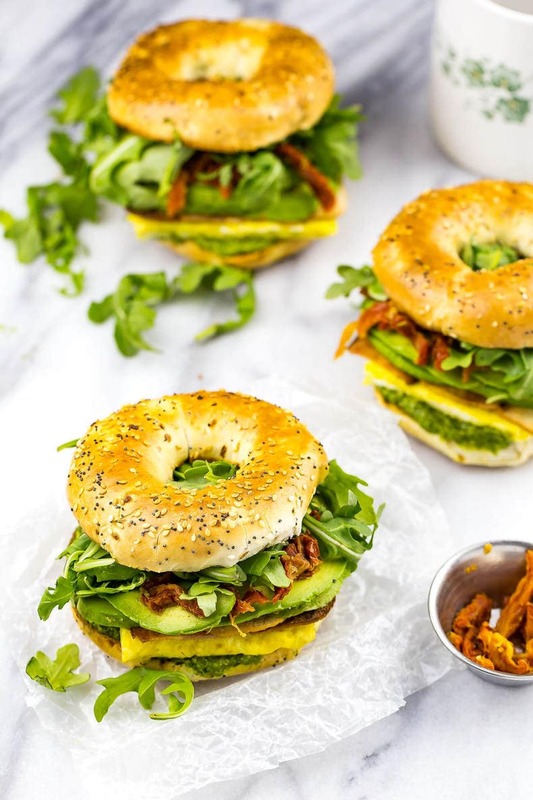 This is my kind of bagel sandwich! I hate when I go to a bagel shop and their version of a bagel sandwich is just bacon, eggs, and cheese as fillings. I like mine loaded up with variety like this one!